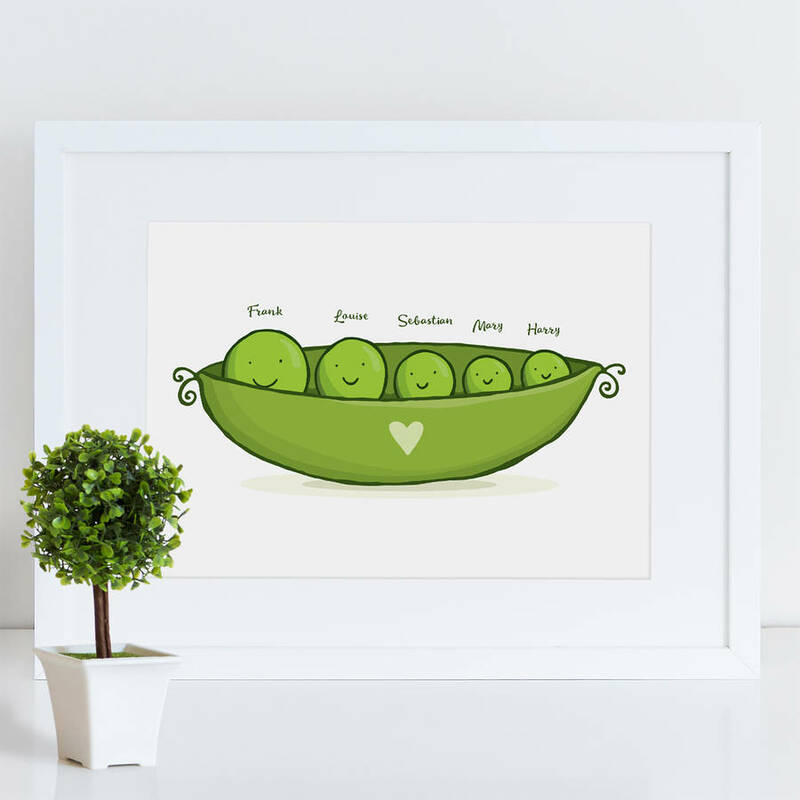 A super-cute illustrated personalised print of your family or friends as peas in a pod. You can add up to six family members. 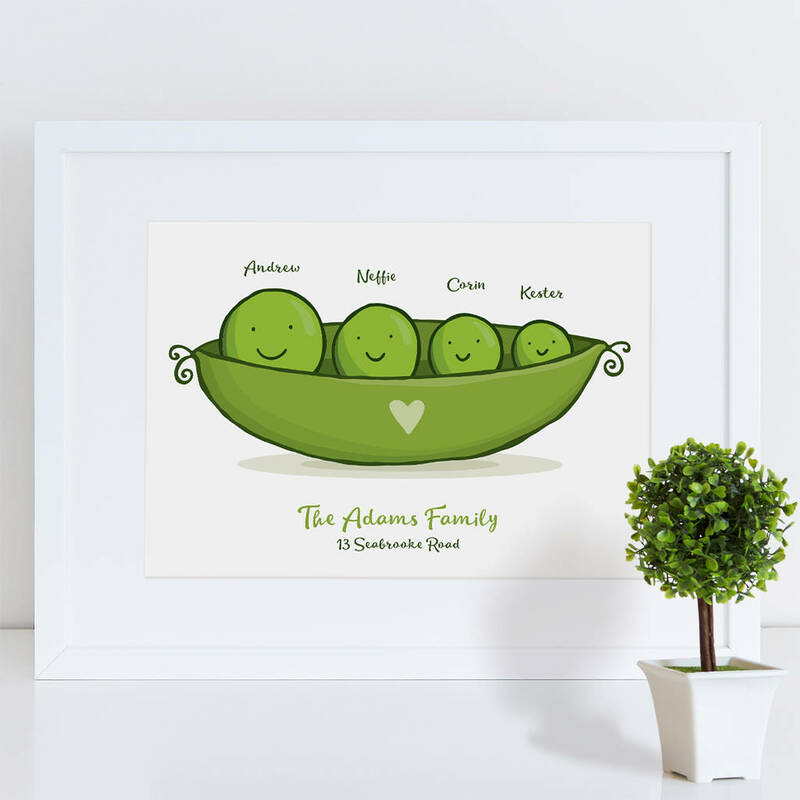 The personalised family 'peas in a pod' print is exclusive to A is for Alphabet. Create a truly unique family gift by personalising the print with the names and sizes of the 'peas' to go in the pod. 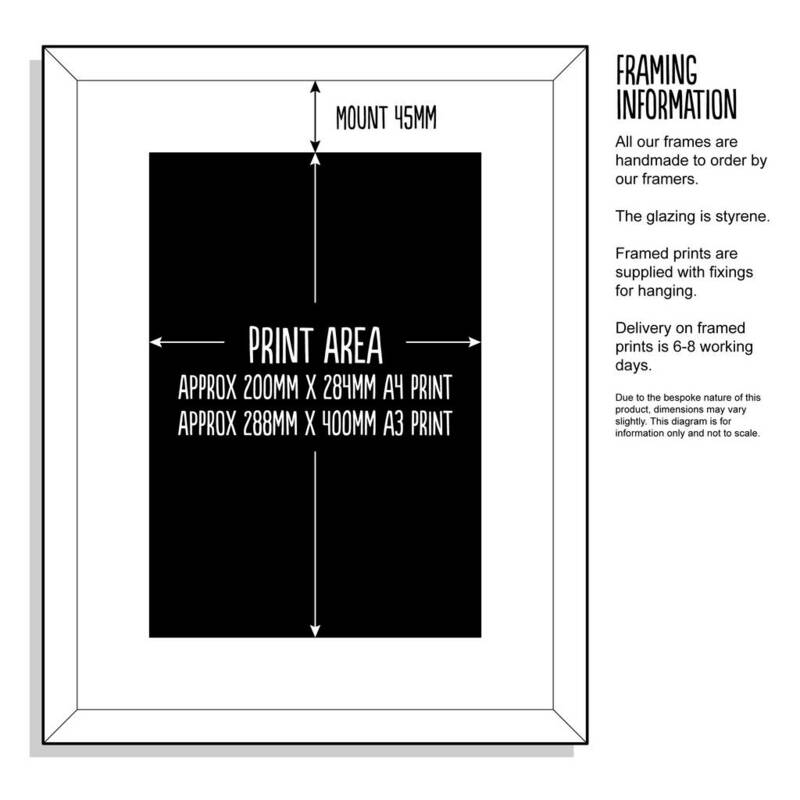 This print makes a perfect personalised family gift, a Christmas gift print or simply something for your own home. This print makes a perfect Christmas gift for the family that have everything or a great gift for a husband or wife. Many people also buy this beautiful print as a new baby gift for the family.